hame women claim glory in 1st ever league match! Losing the toss, Thame fielded first against Cookham Dean in hot, dry and dusty conditions, green grass a distant memory! 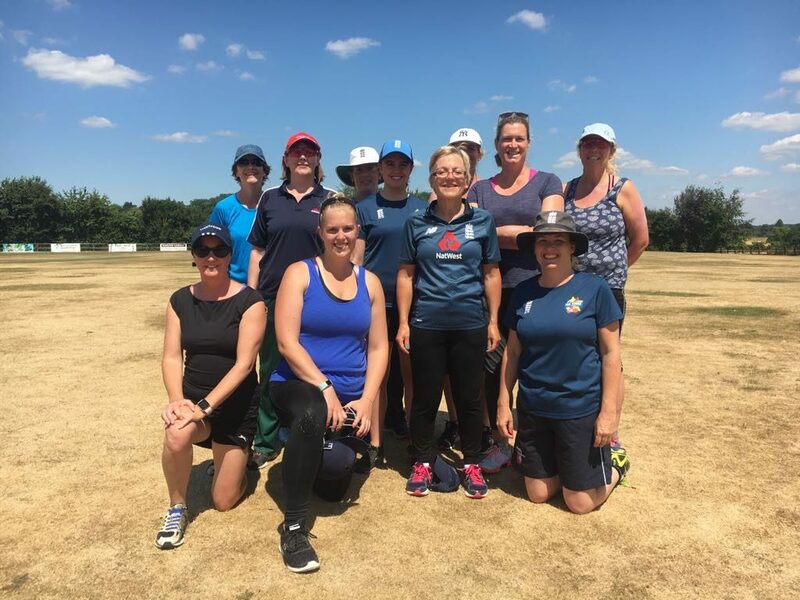 Fielding with intelligence and determination, Thame put in a great team effort, holding Cookham Dean to 147-7 in 30 overs – many boundaries were saved by newcomer Jill Nelson, in the field. Wickets came from each bowler; Sally Brentnall (1-22), Sarah Sanderson (1-36), Mel White (1-24), Bridget Cooper (1-30), and Jess Clarke (1-35). Thame’s batting attack began in earnest with Beth John (47) and White (30). 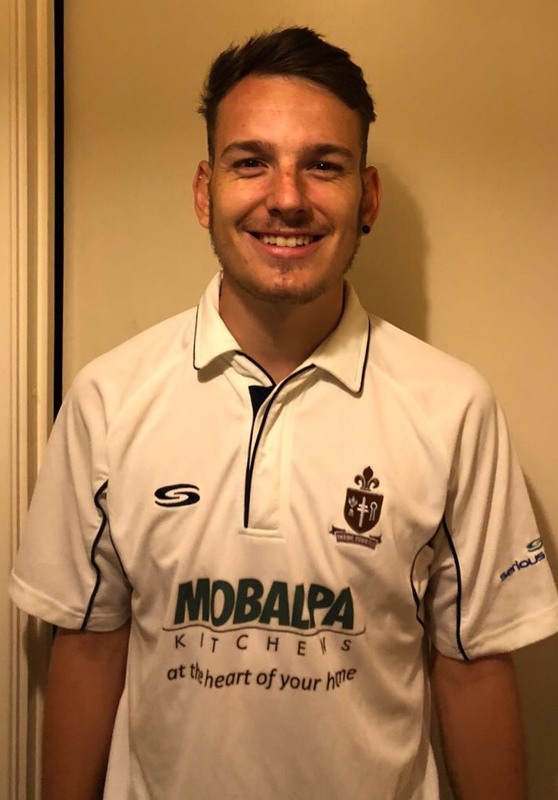 However, the promise of a comfortable victory gave way to a nail-biting conclusion as Cookham Dean’s bowlers and fielders restricted Thame’s runs. Sanderson’s steady innings, with support from the remaining batters, including junior Holly Zijderveld in her first match, saw Thame seize victory with 2 overs to spare. The team rejoiced in a win in their first ever competitive match! Thame faced fellow strugglers Finchampstead at home, on Saturday. After winning the toss and electing to bat, Thame found the going tough against strong new ball bowling. As has been all to familiar this season, wickets fell at regular intervals with only Mike Beard, James Adams and Hassam Mushtaq making scores above 20. Thame finished on a well below par 149. In response, Finchampstead took the game to Thame’s bowling unit. Michael Higgs struck twice early on but 149 never looked competitive, reached for the loss of 5 wickets with plenty of overs to spare. Thame travel to Henley next week. The 2nd XI travelled to play Bletchley. Bowling first, Bletchley got off to a quick start until youngster Jonathan Jelfs (4-52) made some early breakthroughs. Thame could never quite get momentum, however, with Bletchley’s batsmen throughout the order scoring quickly to propel them to a strong total of 244 from their allotted overs. In response, Thame lost continuous wickets with the only resistance coming from skipper Matt Furness (24), Daniel Patey (23) and Alastair Thomas (28). This left Thame to be bowled out for 147, meaning that they slip down to second place. Thame seek to consolidate their place in the promotion slots next week against Brackley. Thame 3s, playing at home, won the toss and asked Tiddington to bat first. Thame made good use of a seaming track and skittled out Tiddington for 56 inside 30 overs. 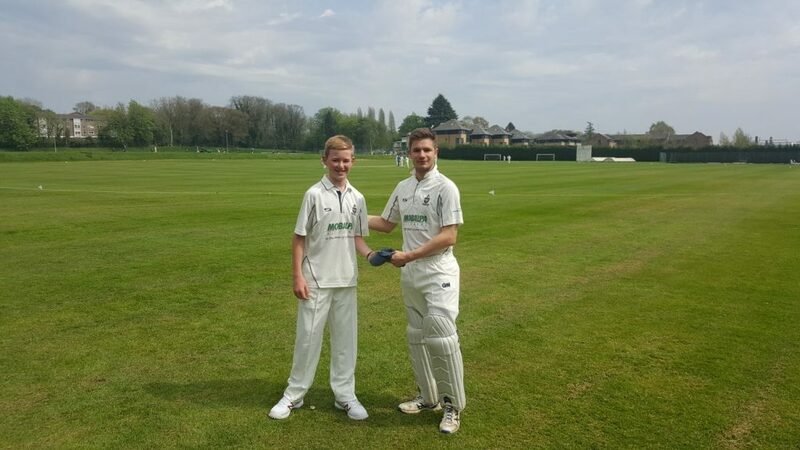 Wickets were shared around by debutant James Oliver (3-7), Luke Hayes (3-8, pictured below left) and James McStay (2-9). In reply, Thame scored the runs quickly as Guy Holmes (16*) guided the team home inside 10 overs, losing only 3 wickets. Another great performance, beating second placed Tiddington by 7 wickets means the 3s leapfrog their opponents into 2nd place. Thame 3s next play Kingston Bagpuize and hope to put pressure on the league leaders. The 4s travelled to Eynsham, looking to build on the previous week’s great result. Thame bowled first, and were immediately put under pressure. Eynsham’s batsmen seemed keen to watch England v Sweden – hitting the ball to all parts, and declaring on an impressive 254-3 off of just 32 overs. Wickets were shared by Rob Tomlin, Dan Constant and Sean Hayes. Facing 58 overs chasing, Thame never looked like reaching the total. A Josh Edworthy (34, pictured below) and Tim Airstone (26) partnership was one bright spark for Thame. However, losing wickets at regular intervals, with an impossible run rate needed, Thame eventually fell just short of surviving for a draw – all out for 157 in the 55th over. The 4s next host Abingdon Vale 4.